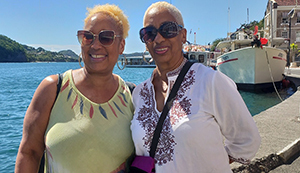 Roz and Robin, mother and daughter, two happy travelers, pose for a picture at one of the ports of call on the Royal Caribbean Holiday Caribbean Cruise that took place over the New Years' Eve Holiday, 2019. 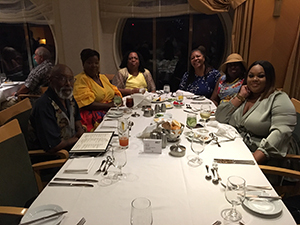 Friends enjoying dinner together on the cruise. 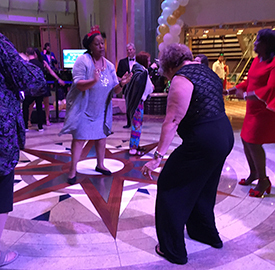 Royal Caribbean knows how to throw a New Year's Eve celebration! Having a great time on the dance floor. 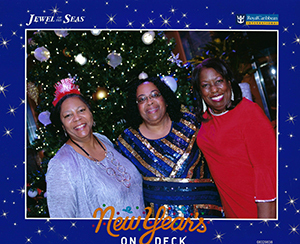 Ruth Bridges (middle) and two friends at the New Year's Eve celebration. 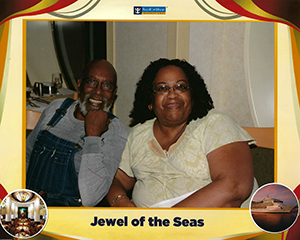 Ruth and friend posing for a picture on the cruise.